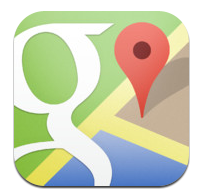 Google Maps Marketing for iOS: Should Businesses Delete The Apple Maps App? Posted byAndrew Shotland	 December 13, 2012 January 5, 2013 6 Comments on Google Maps for iOS: Should Businesses Delete The Apple Maps App? In its first month of release, there were already over 200 million devices with iOS, which includes Apple Maps. Christmas should be a blockbuster for iPhone 5s, 4s and iPads. I wouldn’t be surprised if in January we were looking at well over 300 million devices with iOS. 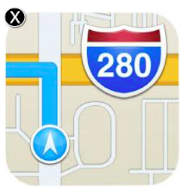 While iOS users are certainly app-happy, given everything we have seen over the years about inertia and people behaving like sheep, I wouldn’t be surprised if a significant number of iOS users continue to use Apple Maps, even with reports of people dying from using the app . At some point in the next few months, you can be sure that Apple will roll out some interesting updates to their Maps app which will spur people who ditched it to revisit the service. We are witnessing the early stages of an elaborate game of one-upmanship between Google and Apple in the local search space. Google clearly is about 100 up at the moment, but that doesn’t mean that Apple can’t make a lot of advances over the next year. While this is nothing but a great thing for consumers, this means that businesses should at a minimum make sure their presence on Apple Maps is what they want it to be. Here’s a link to download the Google Maps App from the App Store. I thought that Apple’s default apps are not able to be deleted from their devices? yep. On a related note, last week was the highest organic traffic ever for this site. Will be interesting to track how that tracks with the continued adoption of the Google Maps app.